Rainwater harvesting is an environmentally friendly and cost-effective way to store water for non-consumption purposes. The average household in the UK uses around 150 litres of water per day, just 3% of which is for human consumption. 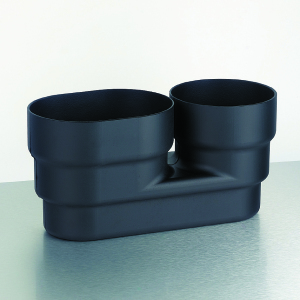 Properly filtered rainwater is perfectly suitable for use in toilet flushing, clothes washing, cleaning, and gardening. A rainwater harvesting system ordinarily collects water from the roof. A smooth surface such as slate or glazed concrete tiles will work best, whilst green roofs will harvest 30 – 50% of rainfall. Whilst the appearance of the water may differ slightly from that of drinking water, it is perfectly safe for use in toilet flushing, in the washing machine, and for garden irrigation. Rain flows from the roof to the filter, which separates leaves and other debris from the water. As the water flows to the tank, the debris is washed to the storm water system or to a soak-away. 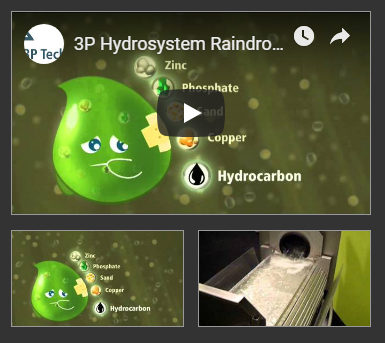 3P Technik rainwater filters are complete with easily removable and cleanable stainless steel inserts compatible with various systems. Removing the biological load to a RWH tank allows the underground tank to self sterilise. The filtered rainwater, now stored in a dark and cool underground tank, remains clean. Residual particles denser than water settle at the bottom of the tank. The calmed inlet prevents the disturbance of this layer of sedimentation and it also ensures that oxygenated water is introduced to the lower levels of the tank, keeping the water fresh. 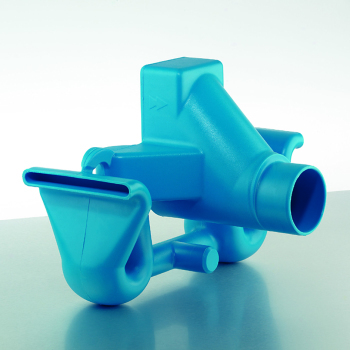 Ensure your system provider fits a Calmed Inlet. Residual particles, such as pollens or other airborne particles which are less dense than water will float inside the tank. 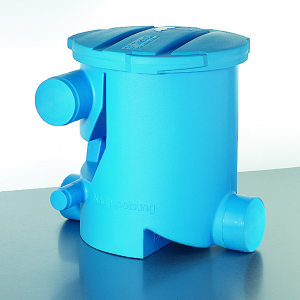 3P Technik’s expertly designed Overflow Siphons provide for a skimming of the water when it overflows the RWH tank. This promotes the removal of this floating layer, preventing souring of the water, and ensuring optimum long term water quality. Ensure your system provider fits an independent overflow. Overflow back through the filter traps floating layers, leading to long term problems. Floating just beneath the water’s surface where the rainwater is cleanest, the 3P Floating Intake draws water from the tank for use in its various applications. 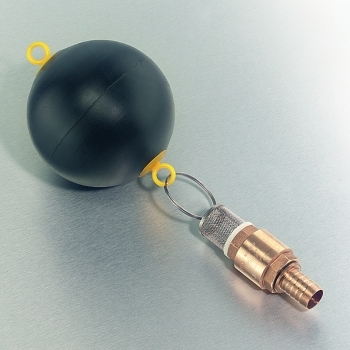 The Floating Pump is supported by a durable plastic ball float and features an additional filter and check valve. Saves scarce drinking water supplies, valuable with climate change inputs that are coming to the UK. Plants thrive on rainwater, gardens, pets and plant will benefit from the non-chlorinated waters. If you have an existing Rainwater Harvesting System, we can signpost you to our network of engineers for the Maintenance and Repairs, please contact us for details. if you need help selecting the correct Rainwater Harvesting System for your current project. Please do not hesitate to Contact our team of experienced rainwater harvesting experts.